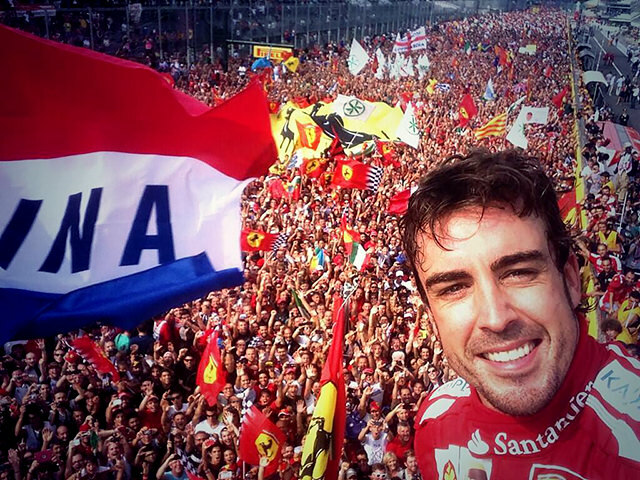 F1's answer to Ansel Adams shared what must be the selfie of the century following his visit to Monza's glorious podium. After the first and third placed drivers vacated the platform, the Ferrari star made sure to snap a quick moment of himself above his adoring fans. Alonso has become a prolific photographer in recent times, sharing his experiences with his near two million fans and followers on Twitter. From training sessions to press conferences he can often be spotted setting up another shot. 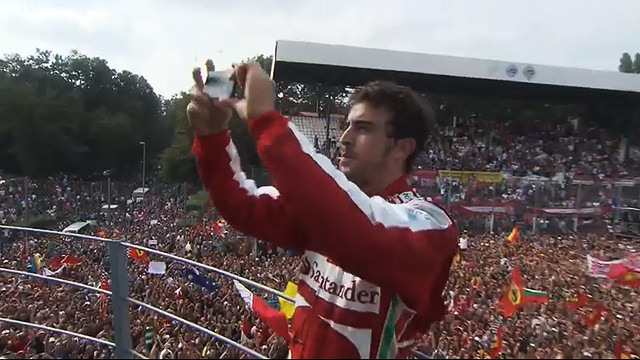 Earlier the TV cameras caught him lining up his special podium picture.